Her divorce was as secretive as her marriage! Tattoo artist Cleo Wattenstorm’s personal life revealed! The couple divorced as secretly as they wed! 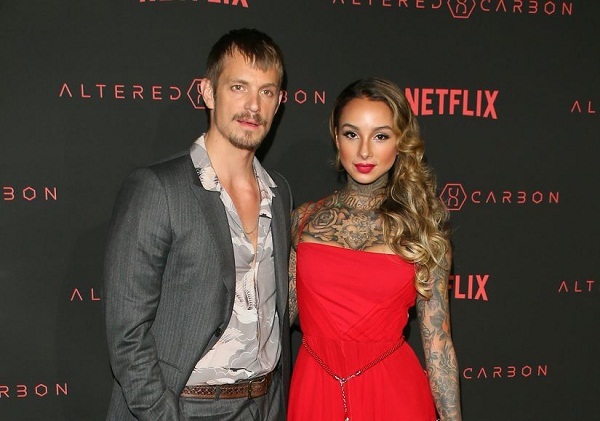 Tattoo artist Cleo Wattenstrom and actor Joel Kinnamon had married in a secret ceremony. The world came to know about it only a year and a half after their wedding. But now the couple is divorced and it has been a year later that the world knows about it now! It was last month that news broke that the couple Cleo Wattenstrom and Joel Kinnaman have split! An insider revealed that they separated in 2018 and continue to be friends. They were spotted in December 2018 with a group of friends attending a UFC fight. There is no bad blood between them and they have split mutually. But the reason for the split remains unknown. After the split, neither Cleo nor Joel have given any interviews or released any official statements on the issue. Joel has been sighted once with Swedish-Australian model Kelly Gale. But Kelly’s Instagram has some selfies of her with Johannes Jarl who is her boyfriend. They were at the Australian Open together. Cleo’s wedding to Joel, 39 was also a secret one. The couple began dating in the middle of the year 2014. But they were successful in keeping their affair low-key and things became public only when they walked the red carpet of the premiere of Joel’s film Run The Night together. They got married soon after but their fans and viewers be unaware of it. It was only in 2016 when Joel came on the show The Talk that he revealed that Cleo was now his wife. When the co-hostess of The Talk Aisha Tyler referred to Cleo as his girlfriend, Joel went on to politely correct her and stated that Cleo was his wife. When he appeared in August 2016 on The Late Show with James Corden, Joel stated that he wed Cleo more than a year and a half back. The couple was thus married if that could be considered a marriage! Cleo is Belgium-born and does her business out of Venice in California. She continues to use the surname Kinnaman which i there on her Instagram even now. She had said in an interview that she became a tattoo artist due to her passion for art and it was a good way to turn her passion into a career. Cleo said that she did not like going to school and needed some work to earn money. She traveled around the world with her parents before they settled in Stockholm in Sweden when she was in her teens.